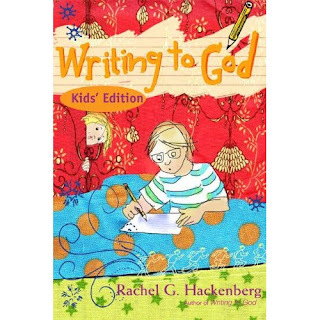 I’m thrilled that the cover image of my upcoming book — Writing to God: Kids’ Edition — is now posted on sites like Amazon! We’re one step closer to the book’s Spring 2012 release from Paraclete Press! Of course I’m biased 🙂 but Writing to God: Kids’ Edition will be unique among children’s prayer books, because it doesn’t merely provide prayers for children to read or memorize; it engages and empowers children to find their own words for prayer using everyday experiences! draws us in like a child’s smile. I am holding on to it. I am resting with the satisfaction of it. I am challenged, awestruck by it. I am freed to sing it.